We ride for joy. We ride for freedom. We ride for accomplishment. We ride to refill our tank. We ride to escape. We ride to connect. We ride to empower. We ride for inner peace. We ride for change. We ride to feel badass. Pick a spot where you feel most comfortable. if its your first ride feel free to pick a bike in the back of the class so that you may observe the intermediate riders and get inspired by their energy. Remember this is your ride and you control your journey. 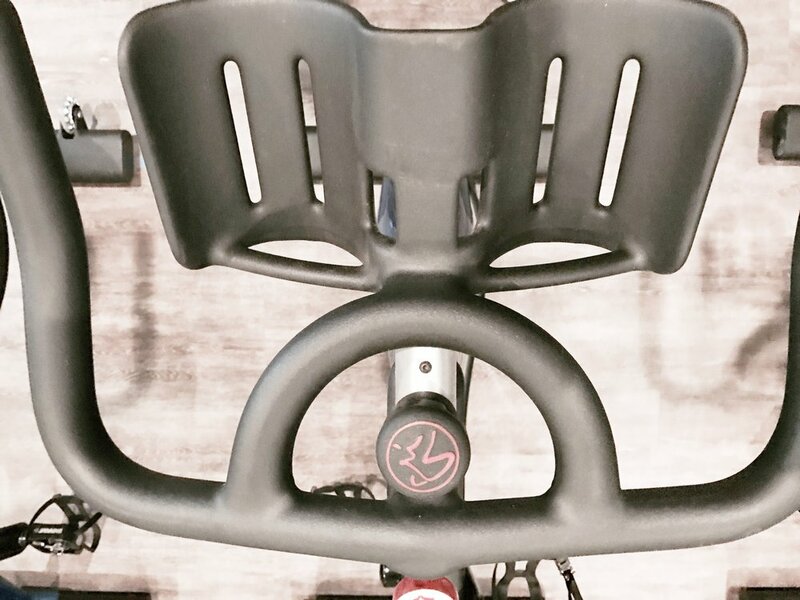 First time riders often enjoy spending the first class getting comfortable on the bike before they attempt to add resistance and speed to their workout. Many of our cyclists prefer wearing cycling shoes with SPD clips, but it is not necessary. If you do not have cycling shoes, hard soled sneakers are the next best thing. Our bikes have pedals equipped with clips and cages. Each ride consists of a warm up, cool down and stretch. We encourage you to take extra time in our designated stretch area before and after class to stretch. We offer yoga mats for your convenience, but if you prefer to bring your own there is a place for it in the back of the class. Please ask any of our team members for stretching tips and direction. All class reservations can be made online using Mindbody. You must be at least 14 year of age to sign up for a class. Riders under 18 require a parent to sign a release. Classes are also available on a drop-in basis but are subject to availability due to the priority of online reservations. Classes can be cancelled online up to 4 hours in advance. No-shows and late cancels will be charged for the class. 5 minutes before class any open bikes will be given to riders on standby. We understand life happens, if you are running a few minutes behind please call the studio so your bike is held. A 5 person wait-list is available for registration. Riders are notified via email, text or phone immediately if a spot opens up. Notifications depend on the preference set in profiles. If a rider receives a notification that they have made it into class we require a confirmation email OR phone call back. We remind riders that if you are on the wait-list to act as if you are in class. If you make it into class off the wait-list and cancel (after the 4 hours) or do not confirm your spot you are still responsible for payment. The wait-list can bump you into class 90 minutes before the class. After that period our team manually manages it. Class packages are good for a limited time. Triple Threat (3 classes) packages expire 1 month from the purchase date, Big Timer (10 classes) packages expire 3 months from the purchase date, and Single Sweats (1 class) expire 7 days after purchase. Classes can be cancelled online up to 4 hours in advance for a full refund. No-shows and late cancels will be charged for the class. 5 minutes before class any open bikes will be given to riders on standby. We understand life happens, if you are running a few minutes behind please call the studio so your bike is held. Your safety is our first priority. Please notify each instructor if it's your first class, you are pregnant, or have any medical conditions. Our instructors are trained to help you properly set up your bike to reduce the risk of injury and guide you through a safe and effective workout. As with any form of exercise there is the risk of injury or death. Your communication with our staff can greatly reduce that risk. To prepare for your ride please make sure you have eaten well and are fully hydrated, bring water, and wear comfortable light weight clothing. All participants will be required to sign a waiver before their first class. *All of our classes may include specialty lighting which flashes and pulses with the beat of the music. If you have a medical condition which may be affected by such lighting please consider whether this class is right for you. Life is like riding a bicycle. To keep your balance you just keep moving.